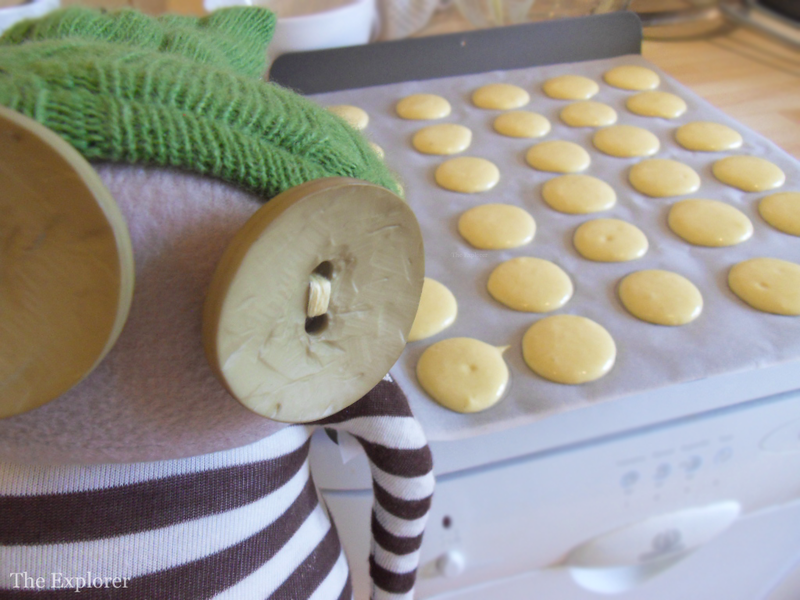 The Daisy Chronicles: Daisy Bakes! 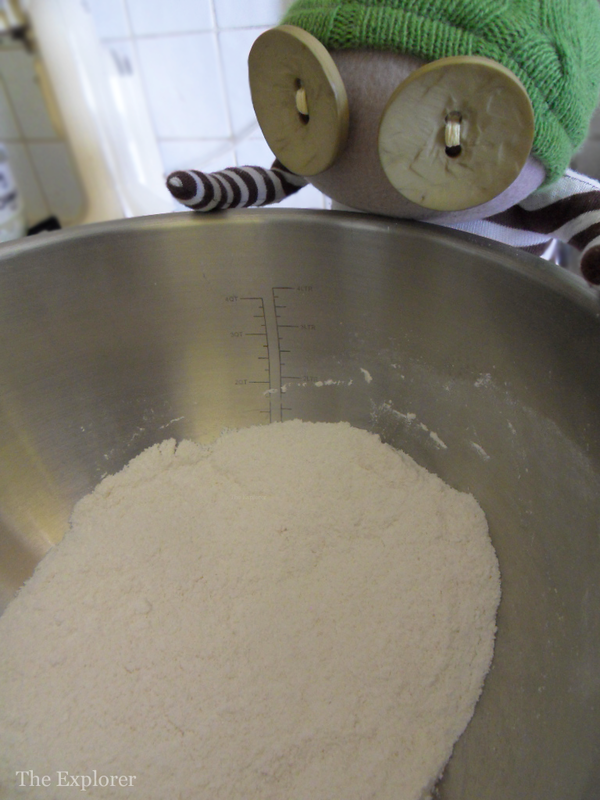 It started out easy enough; she weighed out some icing sugar. 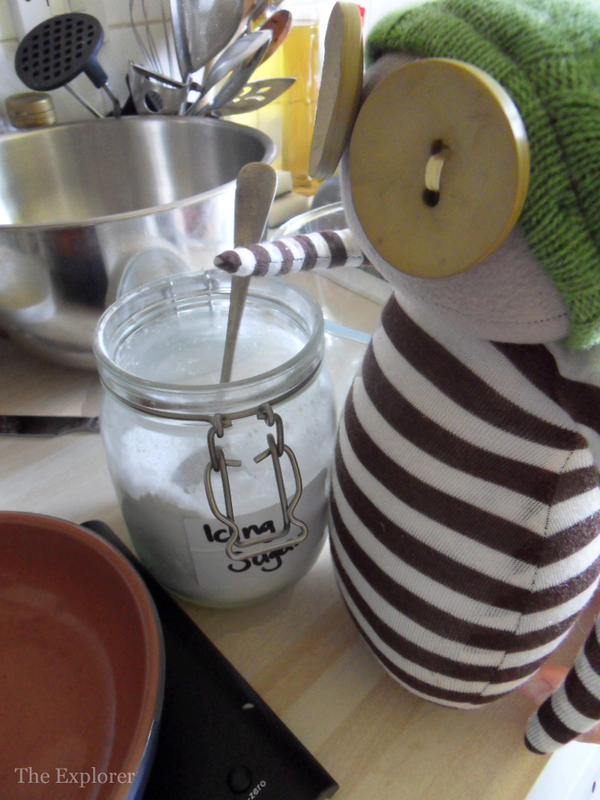 Daisy thought that icing sugar was amazing stuff! When you drop it from a height you get sugar fog....what could be better?! Once the sugar was weighed Daisy's attention drifted into a daydream of a world where the clouds were made of candy floss, the fog tasted like icing sugar, and walls were giant chocolate bars. 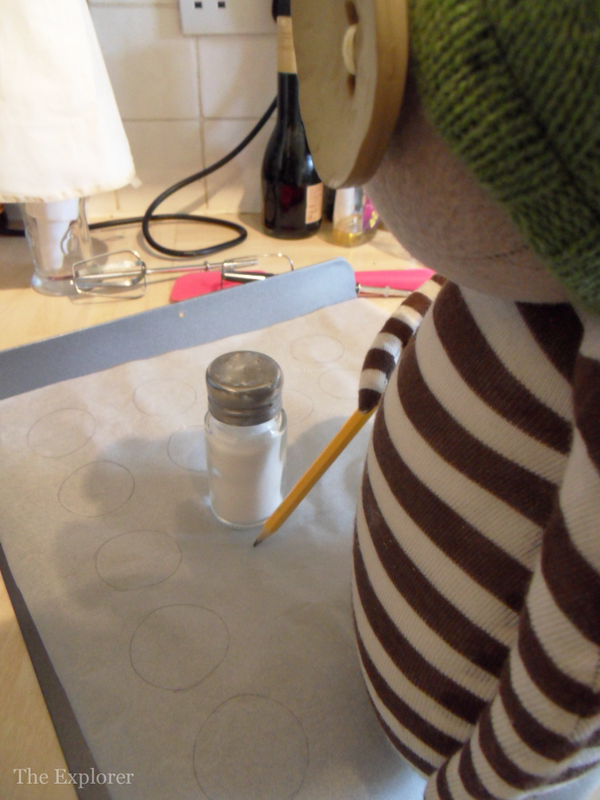 Daisy realises now that she may have missed a few steps to the recipe but she stopped daydreaming in time to make sure that the sugar and some ground up almonds were mixed together well. Daisy decided that her attention span was not cut out for baking so she relegated herself to the position of Sous Chef. This meant she could draw! Only a template for the mixture to fit in but, still, she could draw! This is a mean feat for someone with no opposable thumbs....or fingers, for that matter. 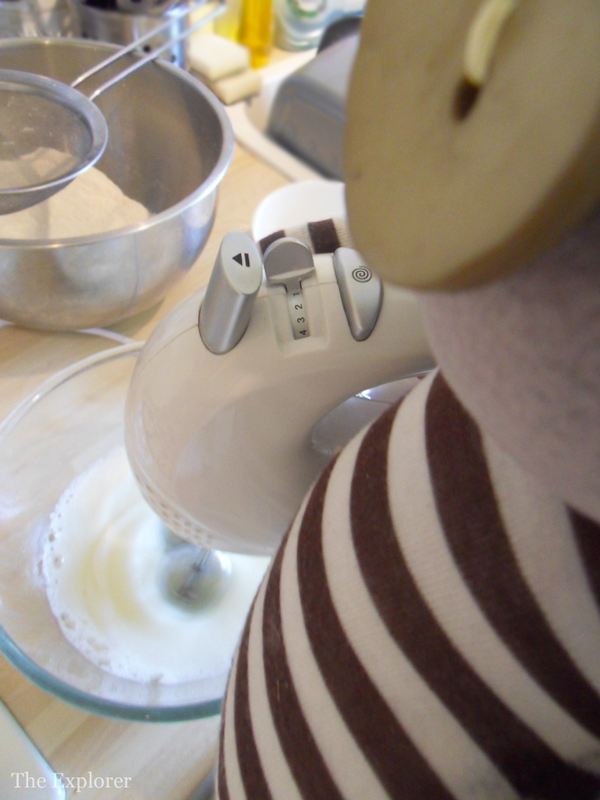 Once the circles were drawn Daisy turned her attention to the whisk.....it was by far the most fun ride she had ever had. It was like a vibration plate.....she's sure her legs will look firmer any day now. .....then all that was left was to sit and wait. And watch. Sitting, watching, waiting. More sitting, a little more watching, and a whole load of waiting. And more waiting. Daisy has a good level of patience and believes that good things come to those who wait. And they did! 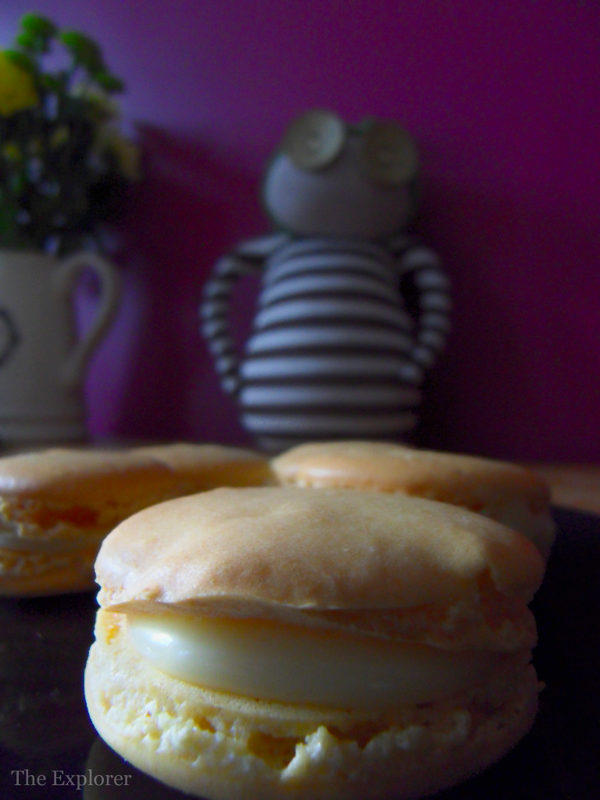 They weren't quite how the looked in the pictures on Pinterest but Daisy was happy with them nonetheless. Ultimately, Daisy doesn't think she will be taking baking to the next level. 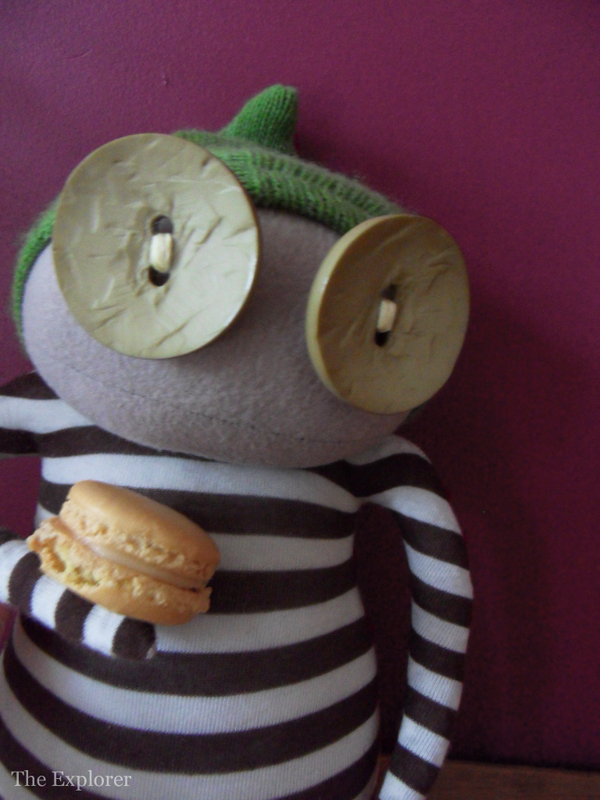 Whilst her macaroons had some imperfections she was still happy with them and thought that the imperfections added to the taste. Daisy thinks that if you enjoy something you should just do it, even if you're pants at it because one day you'll realise how much you've improved. 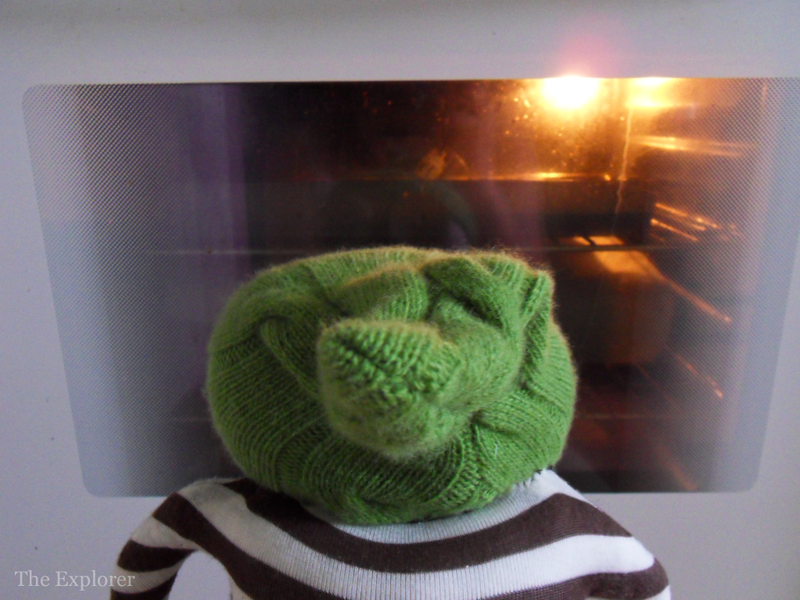 However, the lack of fingers and thumbs impeded her baking so it's not for her. 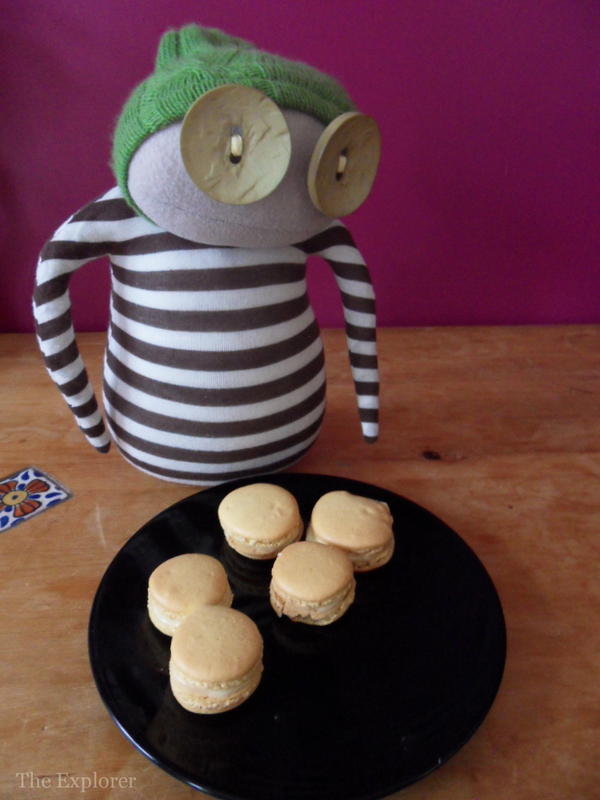 Daisy is however very happy to continue the sampling process because, whilst the wait was long, the 'roons tasted might fine! haha, I'm just chuckling to this!